You are currently browsing the tag archive for the ‘san-jose’ tag. I don’t know why I waited so long to watch Weezer in concert, but I finally did it. It was truly a night to remember. I don’t know what I was supposed to expect, but this concert was everything I dreamed of & more. I know lead band member Rivers Cuomo is a pretty quirky & mostly reserved guy, but I feel like he “let his hair down” a bit that night & let loose…about as much as he was willing to. I overheard a lot of fan feedback complaining, lamenting saying that the concert was too short. I thought it was just right, yet I can see how the concert would be perceived as short, with no breaks In between playing songs & not much talking/messing around between the songs & instrument changes. It almost felt like they just breezed through their greatest hits & sprinkled in a few songs from their new album as though they were in a hurry to get to someplace else. However, I quite liked the no-nonsense pace of the concert. Don’t get me wrong…I am not cool with all-business-no-pleasure, but I also don’t like when a band veers too much off track or takes too long to set up between songs/sets. Everything was packaged neatly with a nice Pink(erton) bow. 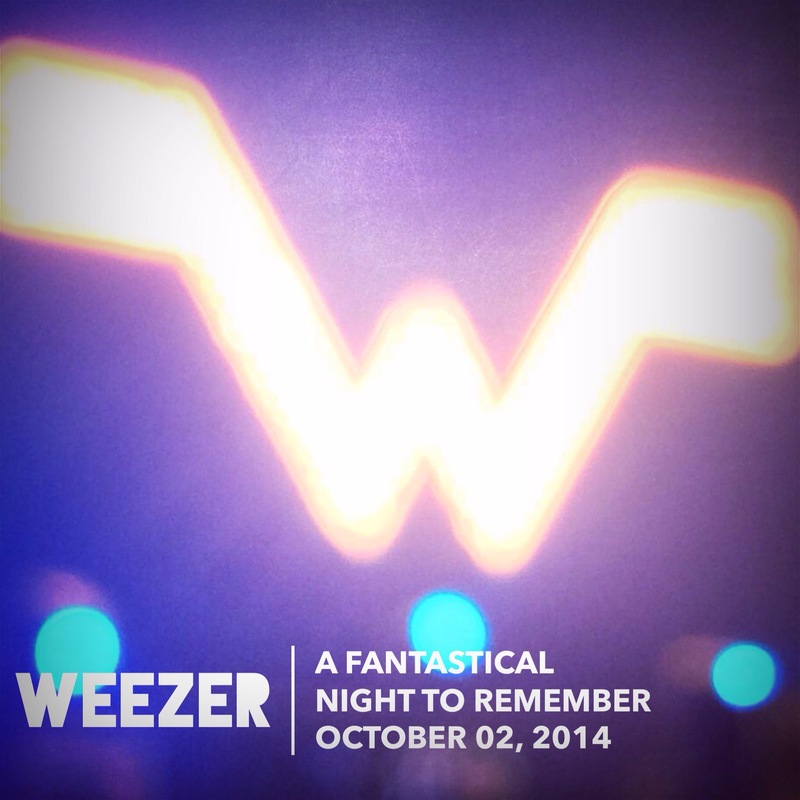 There were two opening bands before Weezer took the stage as the headlining act. The first band was Young Rising Sons. Before this concert, I’ve only heard one of their songs on the radio: “High“. Normally at concerts, I don’t really pay attention to the opening acts, but I quite liked this band. They reminded me of a catchier, pop-ier version of The Black Keys. I’m not going to lie. I was first drawn into their music by the attractiveness of the lead singer Andy Tongren & the clothing fashion of lead guitarist Dylan Scott. I also liked their music. 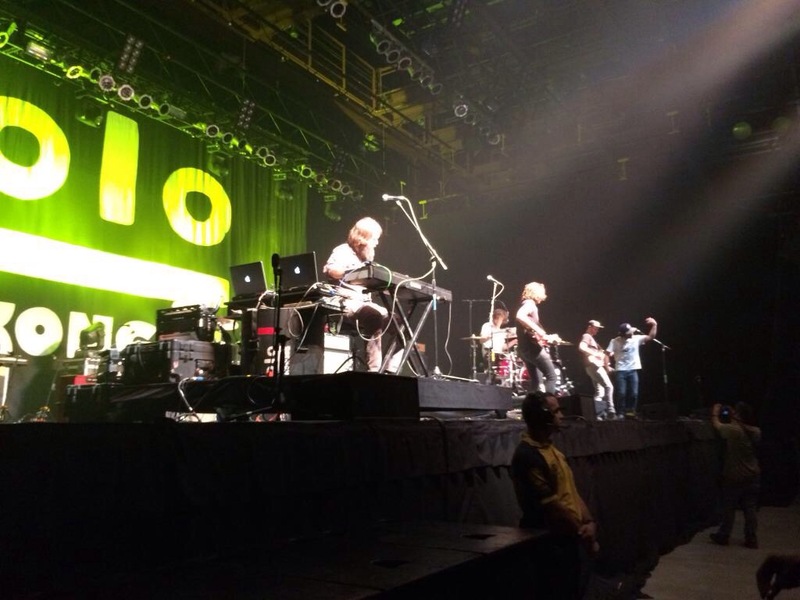 The second band to perform was Kongos. You may have heard them on the radio with songs such as “Come With Me Now“. I don’t have much to say about this particular band, as I am not attracted to their music in any way. I’m sorry, but this band just doesn’t get my motor running…even if they do have a cool accordionist. Also, I just couldn’t get over the lead singer Daniel not wearing any shoes & traipsing around the stage barefoot. The only thing I could think about during this set was “I hope he doesn’t step on anything sharp,” & “I hope he doesn’t get into a bed with white sheets later tonight, lest he leave black footprints everywhere in the bed.” Yes, those were very bizarre things to think about during a concert, but nevertheless I was thinking them. I’m not a germaphobe per se, but dirty feet, well actually feet in general, gross me out pretty seriously. That’s why I think I’d be a terrible nudist. Finally, let’s get on with the good stuff…WEEZER! Yeah, the band members were all pretty chill & AWESOME. They started their set right away with their oldie-but-a-goodie My Name Is Jonas & shut down the house with their extremely popular song Buddy Holly. In between they performed the following songs (in no particular order): Perfect Situation, Beverly Hills, (If You’re Wondering If I Want You To) I Want You To, Undone (The Sweater Song), Say It Ain’t So, Island In The Sun, Pork and Beans, Dope Nose, Hash Pipe. 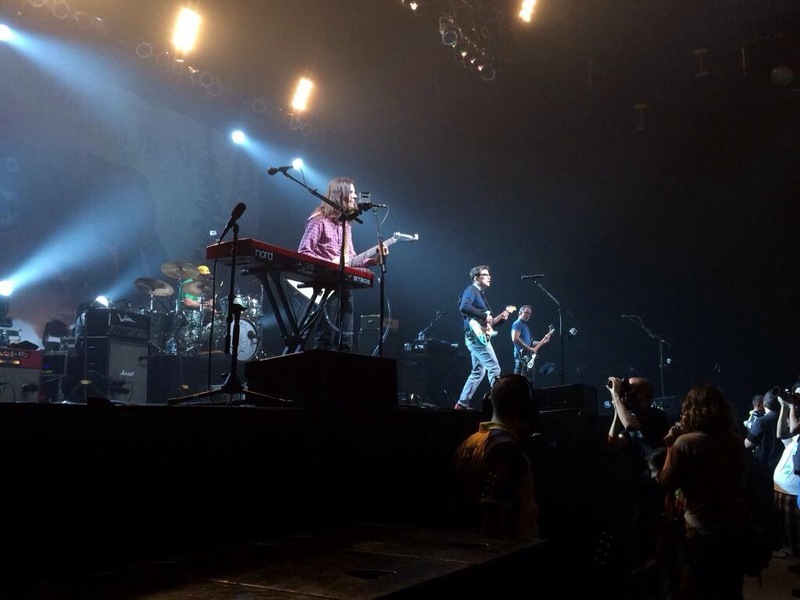 Weezer also performed two new songs from their new album Everything Will Be Alright In The End. I can’t remember the exact song titles, but I believe one was “Ain’t Got Nobody”, & the other was “Go Away”. This was the first time both of those new songs were performed live. Aside from Rivers Cuomo changing up a few lyrics here and there to cater to the audience, there was not a whole lot of playfulness from the band. Only two instances stand out in my mind. One: when a fan rushed onto the stage & danced around a bit before the security got a hold of him & escorted him off stage. Rivers made a few jokes about that guy joining the Olympic track team. Second: when Rivers was introducing the other band members in the middle of the song “Pork and Beans” & he got them each to continue singing the rest of the lyrics as he introduced them one-by-one. Other than that, he made a quick reference to Weezer’s latest album “Everything Will Be Alright In The End” & how it’s available on iTunes. Yes, the set was short but sweet. Most of their greatest hits were performed, with the exception of a few true gems (i.e. El Scorcho, The World Has Turned and Left Me Here, Keep Fishin’, Troublemakeretc.). Yet, I feel they pretty much covered all the bases & did a job well done. I can only just begin to believe that I was in the presence of greatness & legend that night. Cheers!